The Hairy Squirrel Blue & Grey Bomber is just one of the highly successful Hairy series of flies. The hair hackle creates a natural pulsating movement in the water. Tail : Black tipped woodchuck guard hairs dyed orange. Body : Grey deer hair. Palmered Body Hackle : Blue hair. Head Hackle : Speckled brown squirrel fox hair. 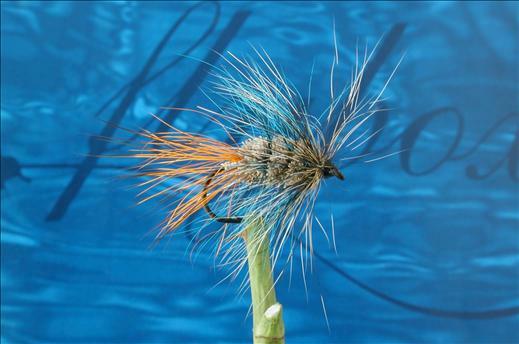 Currently there are no comments about the Hairy Squirrel Blue & Grey Bomber fly pattern from other fly fishermen yet.